A great day of National Hunt racing will take place at Greenmount Park on Sunday 4th of July as part of the Adare Festival 2010 and the run up to the JP McManus ProAm starting on the 5th of July. First race 2.15pm with 7 national races with a prize fund of €100,000 to include The www.thetote.com Galway Plate Trial Handicap Steeplechase and The Greenmount Annual members Novice Steeplechase. This race meeting always produces a few ones to watch for The Galway Festival at the end of July. Enjoy an array of American cuisine at our Self service restaurant and all American Bottled beers only €4!!! Children under 16 are free to the races with free kids zone and bouncy castles on the day. Special Kiddies meal available in our Self Service restaurant and our onsite Supermac's outlet. Catch the Bus Eireann Bus service from Colbert station before racing and stay to enjoy the live entertainment and music after racing with Paul Boland & Co of the Funk Junkies. Limerick’s first ever Mardi Gras Street Party is set to happen on Saturday 3rd July and it looks like it’s going to a fantastic addition to the city’s event calendar. The fun starts at with music on the main stage. The streets will all become a pedestrian only zone for the night and drinking from plastic containers only will be permitted on the streets. Containers will be provided by all participating venues. There is a host of entertainment arranged for the day including a Carnival Parade, bands, Dj’s and an appearance from the award winning LUXe performers as they bring the true spirit of Mardi Gras through the streets of the Market Quarter. All of the local businesses involved in the organisation of the event which include The Bailey, Phil Flannery’s Bar, O Connell’s Bar, The Cuckoo Box, Smyth’s Bar & Icon Nite Club, Flannery’s Bar (Upper Denmark St) Angel Lane Nite Club & Molly’s will be offering something special on the night in the form of entertainment and some BBQ’s thrown in for good measure. 10pm; Spectacular Carnival Parade by the award winning street performance company, LUXe. I have been visiting the Reopened Milkmarket and have compiled a quick video showing just some of the attractions of Limericks renovated Market Area and the all Weather Market running Fri Sat and Sunday's. Get your Skates on and get out to Bunratty tomorrow for a lovely little French Market that is there this weekend. Like a Mini version of the one that visits for Riverfest. Lots of lovely sweet things and some delicious Olives etc. Check out the video below and if the rain holds off head out for a look, you could always hit the Munster indoor market in on the way back in to town! Just turn up the side of the Radison and follow the signs. Can you pop, lock, break or just dance with attitude and soul? 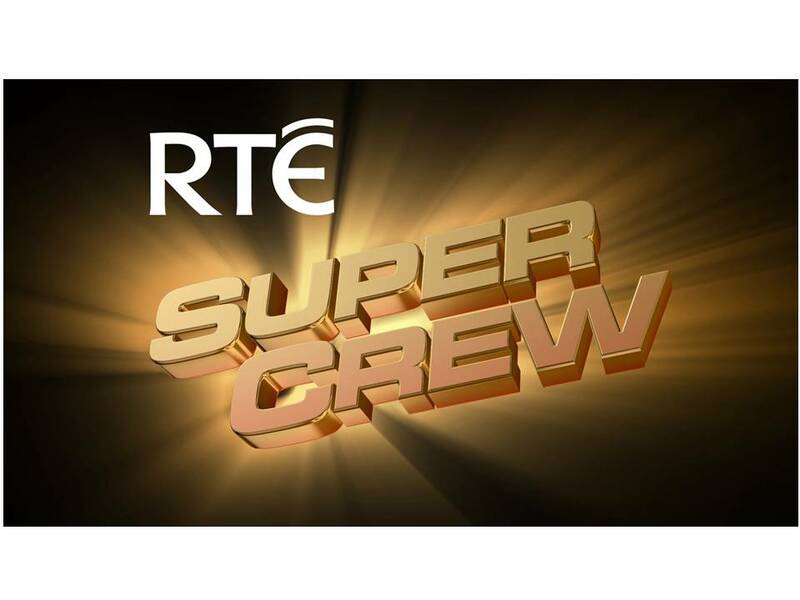 RTÉ is looking for Ireland’s hottest hip hop dancers to form a new dance group and feature in a new 10 part TV series called ‘Super Crew’, which will follow their journey from audition to stage. The winning crew of selected individuals will be mentored and choreographed by top names from the world of hip hop and get to perform in the Olympia pantomime this Christmas alongside pop sensations JEDWARD. We are travelling to the four provinces this Summer and holding OPEN AUDITIONS in Limerick, on Wednesday, 30th June (from 10am) in the Clarion Hotel, Steamboat Quay, Limerick. The auditions will be OPEN TO EVERYONE within the age group on the day. It is not necessary to apply in advance. Dancers will be asked to freestyle individually to music of our choice. NB. A parent/guardian must sign a release form for all those auditioning. U-16’s must be accompanied by an adult. Don’t miss this fantastic opportunity! The weather this evening was a little overcast but cleared up nicely for a beautifully warm evening at the racecourse. A good crowd made for a great atmosphere and the evening was lively and lots of fun. I found time to partake of the amazing BBQ menu this time and the queue was a dead giveaway to both the quality and quantity of the food on offer. After finishing off my Gourmet Burger and a huge hot-dog I was ready for action! And the rest of the evenings racing proved to be very entertaining. Then the rest of the evening till late was spent with Dublin own Funk Rocker's The Republic of Loose. putting our a fantastic mix of older tracks and some great new stuff in a perfect mix that kept the floor moving all night. All in all a great way to spend your Friday night. And for those with the energy the free bus to the Sin Bin was outside afterwards to keep things going till early Morning! Delta Karting Limerick, is the newest edition to the Formula Kylemore Karting Group Partnership. Located at Ballysimon just off the M7 Motorway at exit 29, in Delta Retail Park and three kilometres from Limerick city centre and within easy reach of Tipperary, Nenagh, Shannon and Ennis. This new venue offers a choice of two exicting indoor tracks featuring flyovers, underpasses and banked corners with excellent viewing facilities, electronic timing is provided on each track with video monitors in all of the viewing areas. Coprorate, group races and individual sessions are available by pre - booking on 061603603. All equipment including helmets, race suits and gloves are provided together with a full race briefing and instruction by fully trained race staff. What an amazing evening!! Congratulations to all of those involved, Athletes, Volunteers, Family and Supporters. Very well organised and run and really showed off Limerick and Thomondpark very well. Update - Was a great evening of racing and entertainment. Great Food and great Music. Make sure to head along this week for more of the same but this time the band are Republic of Loose. Make the most of the long evenings with a trip out to Limerick Racecourse for some Fun Food and Great Music! With the gates opening at 4pm and the first race at 6pm there will be plenty to do and see with the kidz zone proving to be as popular as ever with the younger visitors. I will be going along to this Sat for a quick Punt a Pint and the Fantastic Jerry Fish and Co! so keep an eye out! Admission tickets are €20, and the every popular Twilight Barbeque Package is only €38 again this year with the addition of a free €5 bet and Pint. Panoramic restaurant also available each evening with a reserved table, 4 course meal and admission all for €75 per person. Early booking discounts apply online and group rates for parties of 20 or more. Live Concert after racing from 9pm and when music finishes a FREE bus will run direct to the SinBin on Howley's Quay with entrance to the Sin Bin Free for those with a race programme after racing. Free Car parking is provided at the track or you can avail of the Bus Eireann service from Colbert station before and after racing. Fantastic Weather for the event and Limerick Racecourse is a great Venue. A huge crowd, lots to see and do and some of the most amazing displays of sheer power and stamina from a great range of competitors. The event will be going out on TV in Europe and America and will be a real promo for Limerick and Ireland. Went along today with our Scout group, they all had a great laugh and enjoyed the day a lot. Very well organised with plenty of food provided for the public. I think we cooked over 150 Burgers and nearly 200 Sausages in total!